Can you ever take the Isle out of a VK? Apparently not. But that doesn’t have to be a bad thing. Disney’s favorite Villain Kids have returned in Descendants 2 and we find out happy endings aren’t always so happy. In a refreshing twist, Descendants 2 offers a sequel that is more complex than good vs. evil. It explores the rich complexities of what is “good” and “evil” and instead seeks to find a way to explore this concept in a different way. While some of the plot twists and jokes are predictable (after all it is a Disney film), it is surprisingly entertaining. 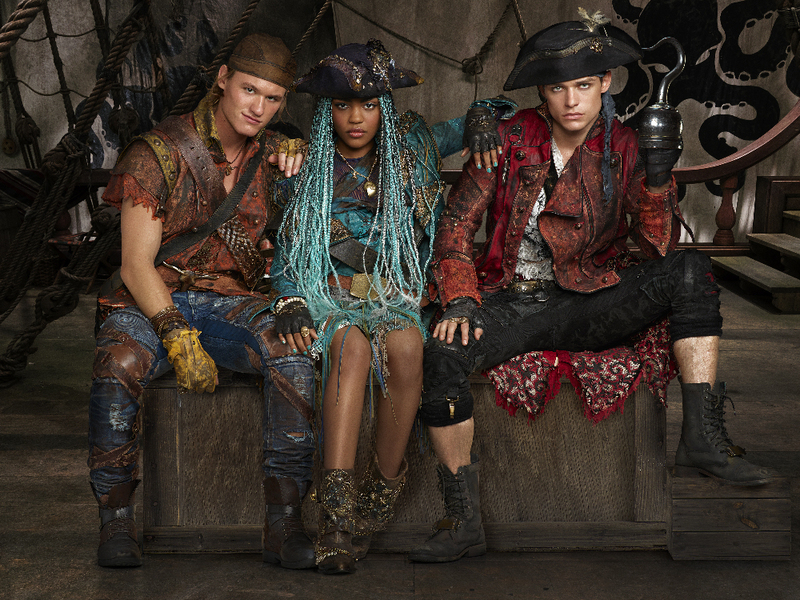 China Anne McClain does an admirable job of being the villain among villains. Her character has layers. She isn’t simply evil. She’s evil with a purpose. And she can sing and dance as well as the rest of the cast. This is a sequel to Descendants and what would it be without singing and dancing? Each one will make you want to get up and join the cast. The songs have a great beat and the artists do a great job singing and dancing to them. The lyrics may not be terribly sophisticated but in the end, who cares? My favorite is probably “It’s Goin’ Down,” a song reminiscent of “Cabinet Rap Battle” from Hamilton. China sings a powerful song of her own with “What’s My Name,” and Dove Cameron and Sofia Carson do a great duet called “Space Between” about the deep bonds of friendship they share. The songs alone would probably make the DVD release worth taking home, but then in the bonus material they add a deleted song AND an extended song as well! “If Only…” is a wonderful and beautiful song. It’s too bad it was taken out of the film. For fans of the cast, there is an interesting segment called “Cast Secrets” where they answer fan mail (or email as the case may be). Disney also includes two alternate endings…but don’t get your hopes up. They don’t really alter the end at all. Just gives you the ending from a different perspective in a Ferris Bueller sort of way. They also include a blooper reel that is mostly outtakes from the production of the film. It’s nice to see the cast in lighter moments together. Disney also includes every episode of the series of shorts, Wicked World along with music videos of three of the songs performed in that series. It’s weird because China plays a completely different character in this series – Freddie the daughter of Dr. Facilier of Princess and the Frog fame. And as a special bonus included in the DVD release is a necklace with five VK icons. Overall, this is definitely worth it if you have a Descendants fan in your home. The bonus features are exclusive to the DVD (not even available via digital) and the film is just plain fun to watch. A worthy sequel to the first…with a third on the way! Oh my gosh, YES!! I thought Descendants 2 was the the best Descendants movie so far! I can’t wait to get the disk! Previous Previous post: Pin Trading 201: Sailing the Seven Seas…with Pins!